This is the one bird I can always identify correctly. (Sorry, Ned.) 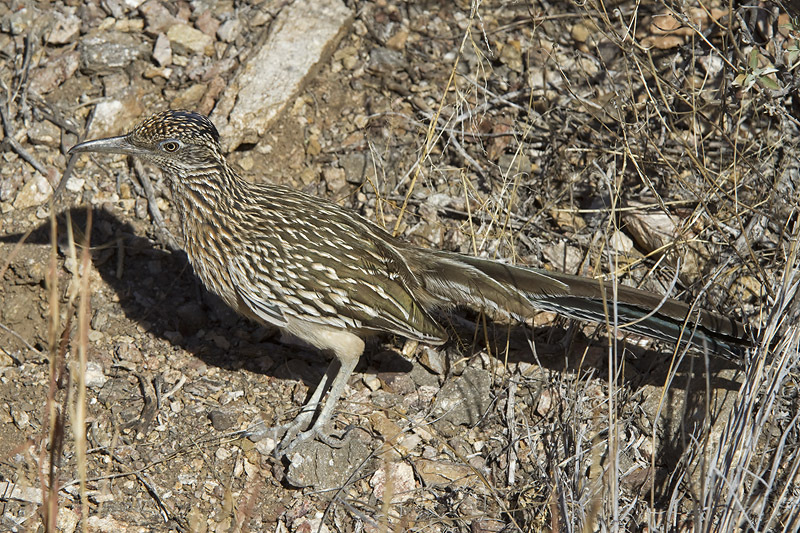 Signature bird of the southwest, the Greater Roadrunner is extremely well-adapted to our fair desert. 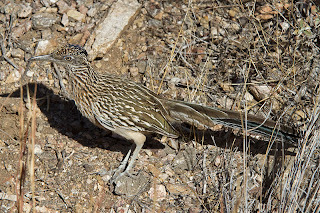 Although the eyes are 'on the side', they can focus in well in front, giving the roadrunner the needed field of vision* [*scroll down to the predator/prey charts] to catch prey - like snakes, lizards, small birds, rodents. 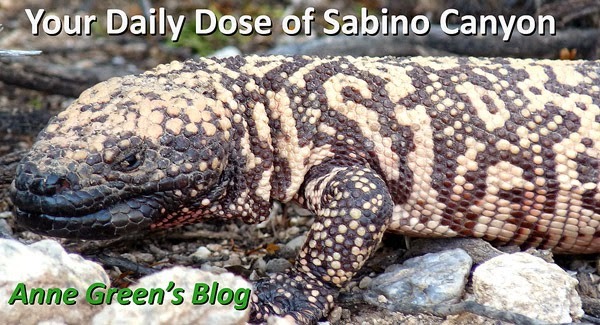 Great camouflage, too!